Note : This Product name [ Aloe Veda Lip Butter - Chocolate ] was changed and relaunched with new name " " [ ingredients are same as old one ]. Click here to view product with new name. Aloe Veda Lip Butter - Chocolate can be shipped to Singapore [ SG ] & Worldwide . Aloe Veda Lip Butter - Chocolate - Express Shipping Transit Time of is 5 to 9 working days from the shipping date. Aloe Veda Lip Butter - Chocolate Product Usually ships within 2 to 4 working days from India. Keep your lips looking plump, healthy and protected from the elements by choosing from Aloe veda's fantastic natural lip therapy range. Natural lip therapy will give your lips the moisturisation they need to keep feeling and looking healthy. Contains aloe vera to soothe and and protect dry lips, panthenol that improves hydration and pro vitamin E that protects your lips against free radicals. Contains beeswax, shea butter and cocoa butter and does not use petrolatum as an occlusive. Soyabean oil, sunflower oil, beeswax, sweet almond oil, vitamin e, cocoa butter, glycerine, shea butter, panthenol, octyl methoxycinnamate, chocolate vanilla (flavour). Aloe Veda is a premium collection of personal care products inspired by Aloe Vera and Ayurveda. We offer you a suite of outstanding products that blend together the goodness of the wonder plant Aloe Vera, the secrets of the ancient science of Ayurveda, Healing Natural Herbs and Essential Oils blended with cosmetic grade natural and man-made carriers in a functional form for daily use products such as Bathing Bars , Shampoos , Hair Conditioners , Hand Washes , Face Washes , Body Washes , Moisturizing Creams , Aloe Vera Skin Gels , Hair Oils , Body Butters , Sunscreens and Hand & Body Lotions. Aloe Vera Gel is a natural blend of over 70 ingredients in which the prime ingredients are minerals, enzymes, proteins, amino acids, vitamins A, B, C and E and polysaccharides. This complex and unique natural blend is highly beneficial as it is anti-bacterial, healing and soothing and is widely used in skin treatment for wounds, burns, sunburns, allergies and bruises. It nourishes the scalp, boosts hair growth and is useful for treating hair loss. Aloe vera juice is being used as a eye wrinkle remover, for treating acne and pimples, underarm odor remover, after shave lotion, treatment for removal of pregnancy stretch, dandruff treatment, regeneration of cells in skin cancer treatments and for prevents wrinkles. Aloe Veda Lip Butter - Chocolate can be shipped to Singapore & Worldwide . IndianProducts.Com.Sg Ships Aloe Veda Lip Butter - Chocolate Usually within 2 to 4 working days. In our e-commerce online stores we have listed the best selling products of top Indian brands at comparatively Low prices including Aloe veda branded Aloe Veda Lip Butter - Chocolate . Browse our online stores in this shopping cart to get the products / items at Competitive pricing. Shop Aloe Veda Lip Butter - Chocolate for yourself, or order as a gift to your loved ones. Shipped to any place in Singapore ( SG)& Worldwide. Free and Express International shipping available. IndianProducts.Com.Sg is a pioneered online shopping store for Worldwide Customers and today it is the one of the fastest growing shopping destinations for customers on the Internet with thousands of quality branded Indian ayurvedic & Herbal products list including Aloe veda branded Aloe Veda Lip Butter - Chocolate . As ecommerce evolves, sellers and buyers in are increasingly sophisticated and adventurous, demanding more choice. 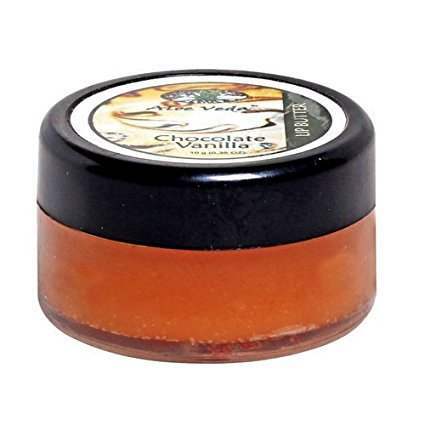 IndianProducts.Com.Sg offers Consumers the widest range of products and branded stores, along with the product information and necessary date to navigate & order / buy Aloe Veda Lip Butter - Chocolate efficiently online. We are committed to delivering the world's ultimate shopping experience with high quality of service to the People of World Wide. We ships to Victoria , New South Wales , South Australia ( AU ) , Western Australia , Tasmania , Queensland , Northern Territory and Australian Capital Territory Transit Time of Aloe Veda Lip Butter - Chocolate Pack Product from India to Singapore ( SG ) & Worldwide is 5 to 9 working days. After receipt of your product Aloe Veda Lip Butter - Chocolate order with completed payment. We will send an order acknowledgement email. Our Executives will purchase the Aloe Veda Lip Butter - Chocolate from the Product Distributor / Authorised Stores / Retail Mall. After shipping your ordered product Aloe Veda Lip Butter - Chocolate we will send you an Products Shipped Email.